It won’t be long before there will be lots of weddings. 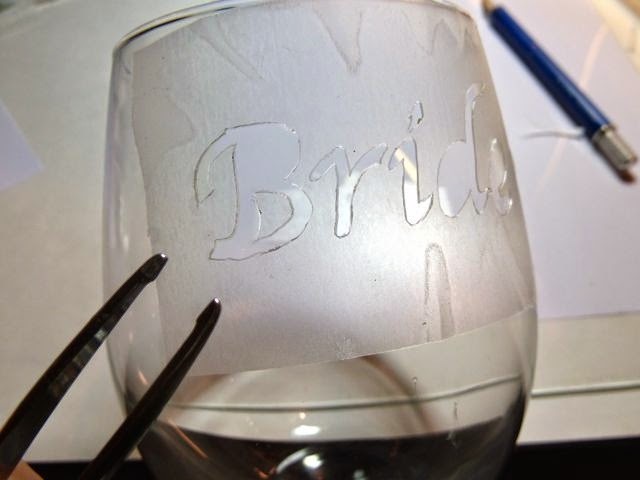 Why not make a personalized set of etched wine glasses for that special bride and groom? 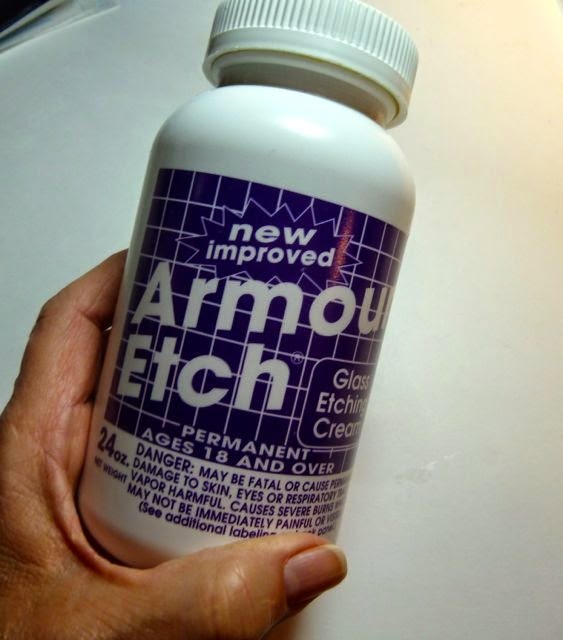 It’s easier than you may think to etch. And wine glasses are readily available at most stores. I found these glasses at the dollar store!! Follow this step-by-step tutorial and you will have a wonderful wedding keepsake. Decorate the stems of your wine glasses with bows that coordinate with the wedding colors or tie on some silk flowers and tulle. The sky is the limit. 1. 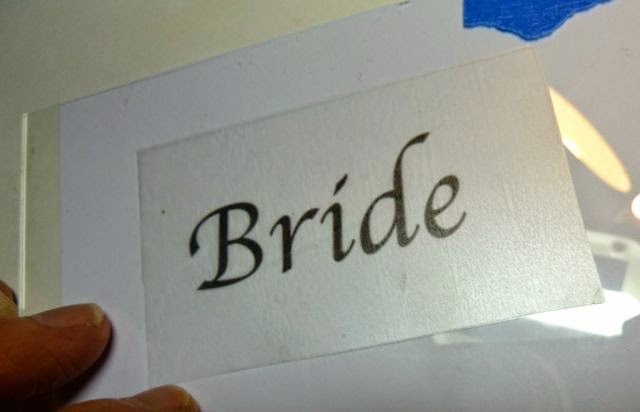 Work on a piece of glass to cut your stencil. Print the words for your wine glasses on in the font and size of your choice. I made mine 48 pts. Place your printed word guide under the glass and tape down so it stays stationary. 2. 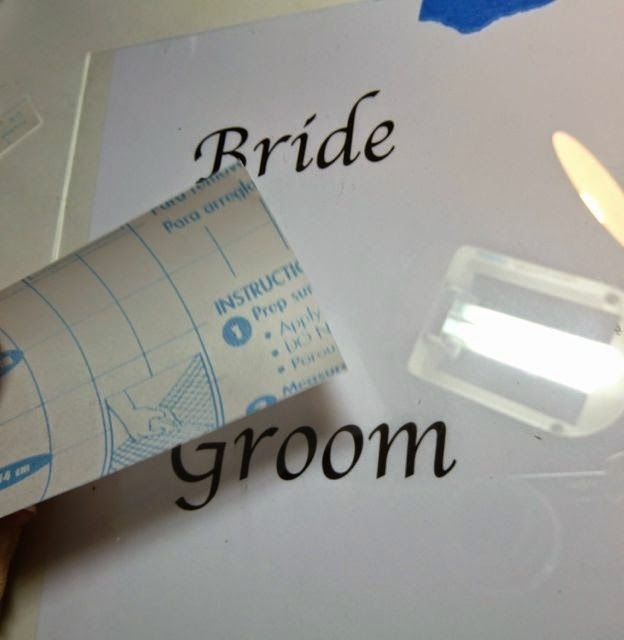 Cut a rectangle of contact paper to cover the size of your words (Work on one word at a time) Attach to the top of the glass over the words. Use an X-acto knife or a wood-burning tool to cut out the words. Remove the cut out sections, saving the center parts. 3. Prepare your glasses by wiping with alcohol to remove any dirt and oils. 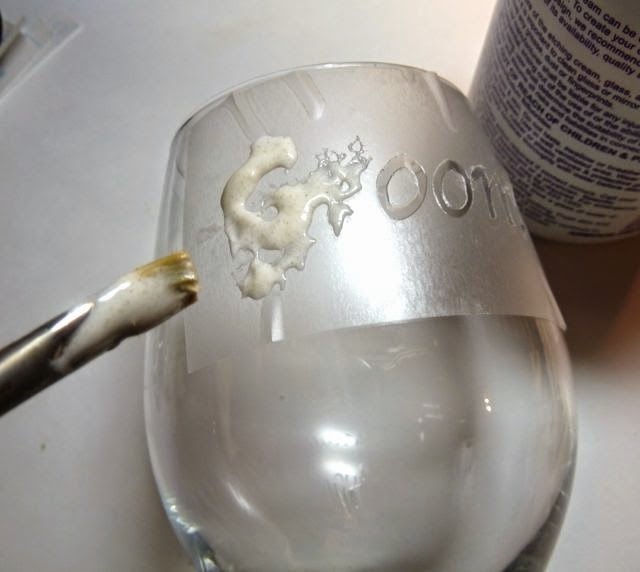 Attach the prepared stencil on the glasses making sure you press out all the air bubbles. 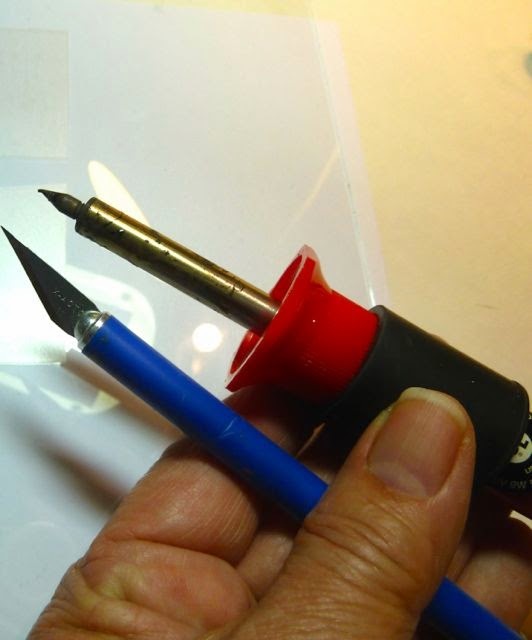 Use the tweezers to attach center sections in the O’s and D, B and e.
4. 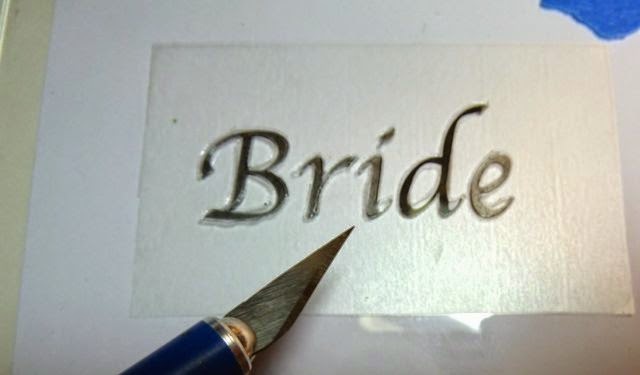 Using a small paintbrush, add the etching cream to the stencil and leave on for five minutes. 5. After you have left the cream on for 5 minutes wash it off to neutralize it. You will have permanently etched words. 6. 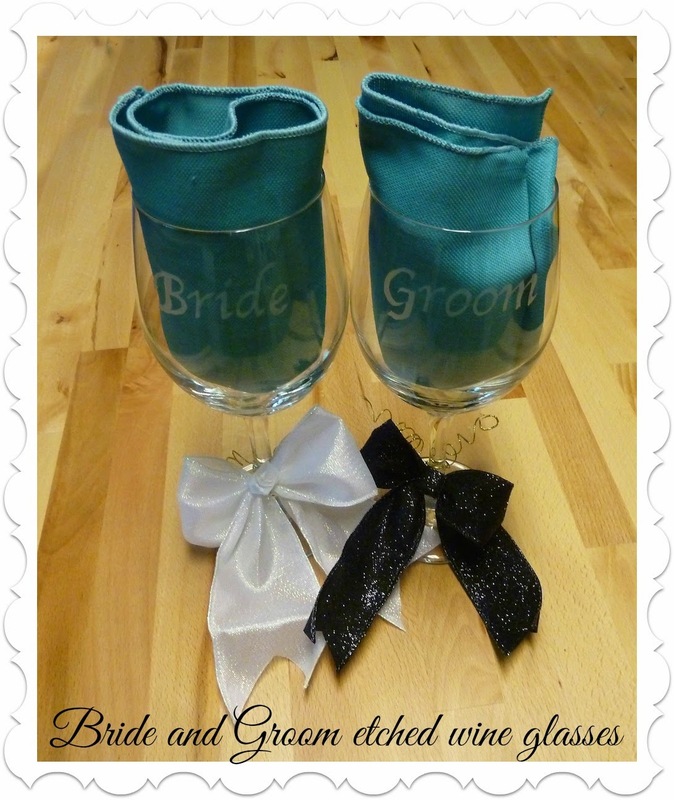 Decorate your wine glasses with bows, florals and more. For complete instructions to make the white bride bow and black tie groom bow for the stem visit Bowdabra blog! Wow, I really love those glasses. It looks like I need to try etching. Fantastic Crystal! You make everything look easy! LOL!